1. Please refrain from spamming. 2. Negative Personal behaviour can lead to banning when below is seen. 2a). The use of offensive language on the forum outside of the 18+ section will not be accepted. Please be considerate of those who do not share your open views on offensive language. 2b). Any harassment will not be accepted. Don't call people names or make racist, religious or sexual based comments against others. 2c). Use of private messages to insult people or harass them is not acceptable. All such messages need to be forwarded to Admin with date and time of offense where action will be undertaken. 2d). Trolling is not accepted. Trolling is when someone posts inflammatory, extraneous, or off-topic messages in the forum with the primary intent of provoking someone into a negative response or otherwise disrupting normal on-topic discussion. Keep on topic. Mods will split a topic if it is not on topic to the original thread. Offending messages in this case can be modified to cover offending phrases by Admin or mods which will be coloured to show they have been modified. A warning will be posted in the forum thread quoting the rules thread about what behaviour was found inappropriate. If the offending person persists, Admin or Mods can move thread (to the Cage, Vents etc) or enforce a ban depending on circumstance. 3. Not everyone has the same tolerance levels so we've created an 18+ section. All adult content is to remain in this section. To gain permission, private message the Admin. If you have been added to the list, you will receive an email automatically notifying you. If you have been granted entry and feel the content does not agree with you, please contact Admin and they will remove you accordingly. 4. The BRC Private and Exclusive section requires permission to access and can be requested by sending a private message to Admin. If you have been added to the list, you will receive an email automatically notifying you. If you have been granted entry and feel the content does not agree with you, please contact Admin and they will remove you accordingly. 5. The ‘Rides’ section is limited to those who have posted at least 5 times. 6. A women’s only section has been created. This area is restricted to riders who have joined the women’s group. Private message the women’s moderator for access to this area. 7. Do not use other peoples’ accounts. All offended posts and messages on a hijacked account will be deleted. A permanent ban at the discretion of BRC Admin after a report of account hijack will be considered. 8. The ‘For Sale’ section will automatically be granted access to people with over 20 posts. This prevents users signing up just to sell their items & never returning. We are not responsible for the authenticity of the ads posted. It's up to you to make sure you are not being surreptitiously duped. BRC does not take responsibility. Please refer to ‘selling stuff’ stick note. 9. If someone signs up just to promote their work or business or use BRC for personal or financial gain/benefit, without actually participating in rides & social events, their accounts will be deleted. On this matter please refer to ‘selling stuff’ stick note and Admin if you wish to advertise. 10. All signatures must be no larger than: Maximum: 500 pixels long and 70 pixels width and exceed no more than 90kb. Any members with a signature not according to specifications will be notified. If it remains unchanged we will have to delete the signature ourselves and will notify the offender. Do not use offensive language in your signature if you intend to post outside the 18+ section, as this is in violation of rule 2a. BRC LEGAL DISCLAIMER The Brissy Riders Club (a.k.a. 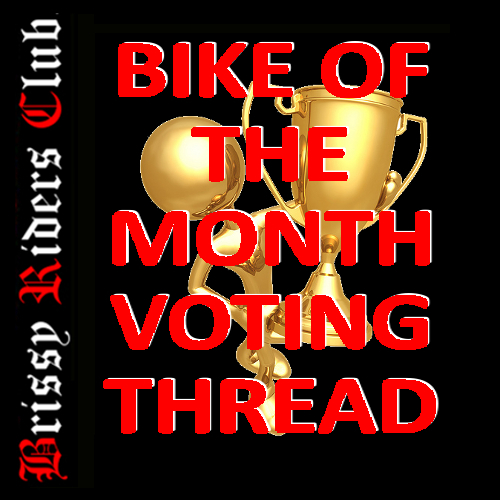 BRC), the domain www.brissyridersclub.org, its administrators, moderators and associates accept no responsibility and assume no liability whatsoever for any person participating in any ride events posted on this forum or organised in connection with BRC. Each person participating in a ride does so at his/her own risk and accepts full responsibility for any personal injury, loss or damage that they may cause or suffer. Participants expressly acknowledge that BRC is not required to hold any form of insurance cover for personal injury, loss or damage caused or suffered by any person and that participants are encouraged to obtain their own insurance coverage to suit their needs. The members of this forum expressly waive any rights to sue or claim any costs, loss or damages from BRC, its associates, or administrators in connection with participation in a ride event. To the extent that any part of this disclaimer is void, unenforceable or illegal in a jurisdiction it is severed for that jurisdiction. The remainder of this disclaimer has full force and effect and the validity or enforceability of the offending part of the disclaimer in any other jurisdiction is not affected. .